Fun fact: the Brachialis (not biceps) is the prime mover for elbow flexion. You could say that the bicep curl should actually be named Brachialis Curl, but that doesn’t sound impressive or cool at all. 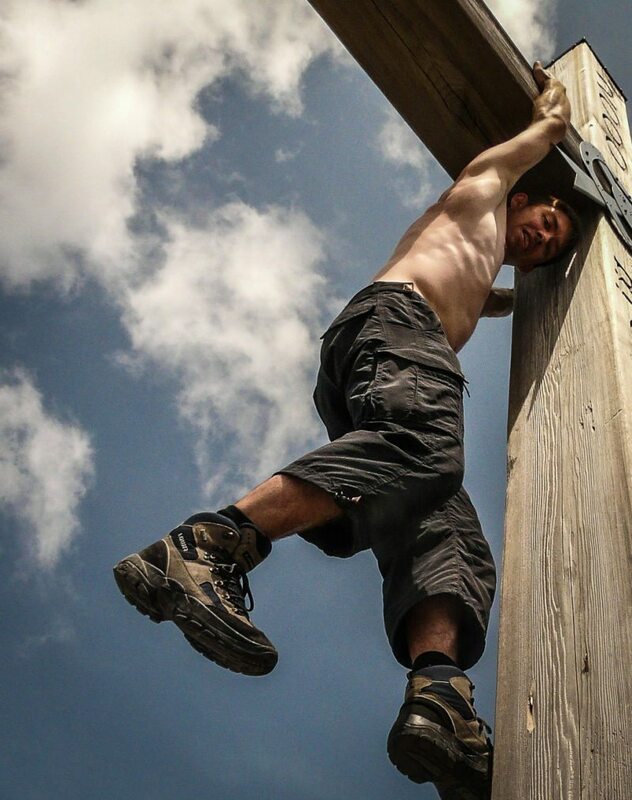 As you might know by now, one of my favourite subjects is writing about correct exercise naming and exercise variations, and this time I’m covering an awesome exercise called the pull-up. If you’re not incorporating this exercise in your training, then you’re seriously missing out and probably neglecting your latissimus dorsi, rear delts and many other important back muscles. If you read my articles about hand placement and the ambiguity of exercise naming, well, then you don’t need to read further as you know what I’ll be covering, truth is, once you understand that hand position and angles challenge different muscles and it applies to almost any exercise you can think off, then you pretty much know it all …. not quite true, this time I’m also going to cover mind-muscle connection (MMC). First let’s talk about the two most common names you’ll hear in the pull-up world, namely the chin-up and the pull-up, and there is quite a bit of confusion amongst people about what is what, and which is better. Fact is, they’re both good and both work different muscles if done properly with good MMC. 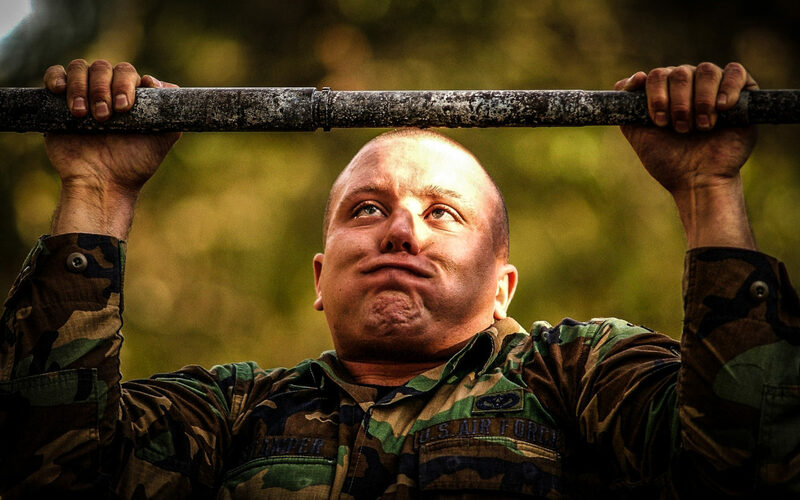 What’s really interesting is that there was a time when any pull-up was referred to as a chin-up, whether it was overhand or underhand, wide or narrow, and it’s not so weird once you consider that chin-up actually refers to the range of the pull-up, i.e. chin over the bar. These days a chin-up is commonly considered an underhand neutral grip pull-up, and the pull-up a overhand wide grip pull-up, but that’s a mouth full. The chin-up primary mover is the brachialis (biceps second), and the primary mover of the pull-up should be the lats, but we’ll cover that further below when we talk about MMC. You could go crazier and include the range plus other details, like for example: dead hang concentric chest to bar wide overhand grip pull-up, which would be a pull-up where you start hanging with the arms fully extended, arms very wide and the chest touches the bar, releasing at the top or dropping back into a hang. But that would be crazy, or is it? You could start playing with acronyms, Narrow Overhand Grip Pull-up could turn into NUG Pull-up but that would come with it’s own challenges. One could also refer to the exercise by including the prime mover, for example Brachialis Pull-up or Lat Pull-up. Let’s talk a bit more about the two most contrasting versions, the chin-up and the pull-up —and yes I’m going along with this whole chin-up is brachialis powered and pull-up is lat powered, just for now anyway. To challenge the latissimus dorsi in the most optimal position you would need to go for an overhand wide grip and remain positioned under the bar during the pull-up just like you would if you were in the gym under the lat pull-down machine. When the arms are overhead and lateral at a 45 degree angle (think V) it becomes extremely hard to use the biceps for the pull-up movement, this is a good thing, because you want to use this variation to work the lats. To challenge the brachialis/biceps in the most optimal position you would need to go for an underhand neutral grip and in the middle of the pull-up come out and away from the bar as much as possible. Think bicep curling heavy dumbbells, the same movement but your bodyweight being the resistance on the brachialis/biceps. By the way, if you do the last part of the chin-up movement correctly you can also challenge the rear delts nicely. Guess why bicep curls are done with your hands in front of you, guess why you got a wide grip with the lat pull down machine? That’s it, because those are the best positions to challenge the biceps or lats. Now see how they transfer to the pull-up? Let’s talk about mind-muscle connection and how it comes into play with pull-ups. Imagine yourself hanging with a neutral underhand grip (chin-up), to pull yourself up you need to pull your hands towards your shoulders, just like you would with a bicep curl, ok, keep this image in the back of your head while you imagine hanging with a hybrid overhand grip (pull-up, but not the widest grip), pull your hands to shoulder level, you can do this with the same bicep contraction you performed for the chin-up and your lats can be close to non-active at all. You need to understand that it’s you who controls what muscles to engage, only if you have a good understanding of where those muscles are and how to connect with them do you have a good mind-muscle connection, and can you decide what to turn off or turn on. Now go back to that same hybrid overhand grip pull-up and think about pulling the elbows towards the hips while relaxing the biceps as much as possible, think about pushing the chest up to the bar. You can achieve the same end result (hand to shoulder level) by connecting and using different muscles to make the same movement. Of course strength comes into play, if you’re able to connect to your lats but they simply do not have the strength to power the complete movement—which is more than likely when you’re just starting out with pull-ups—then you either can’t complete the movement or you will need to call for the help of other muscles like the biceps/brachilias. If you’re a trainer and say that the lats are active during ANY type of pull-up due to the hanging nature of the pull-up then I’d say you’re right and you’re wrong! Yes they should be active to protect the shoulders at all times, but this does not mean that someone makes that connection or has been told do so, and most importantly why to do so. Interesting fact: the further away from the bar your body is, the more you challenge the brachialis and biceps. Watch a video below with a great bodyweight workout in which I perform pull-ups. Floor or bench press, who cares where your hands are!